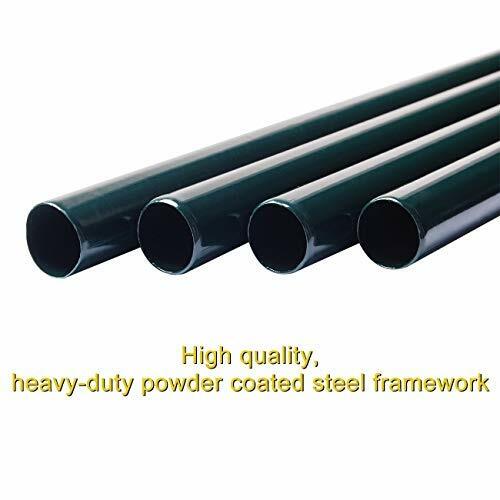 ITEM EXACTLY MATCH THE DESCRIPTION----From the real customer feedback & review, no need to worry the item you received is not the one you had ordered. 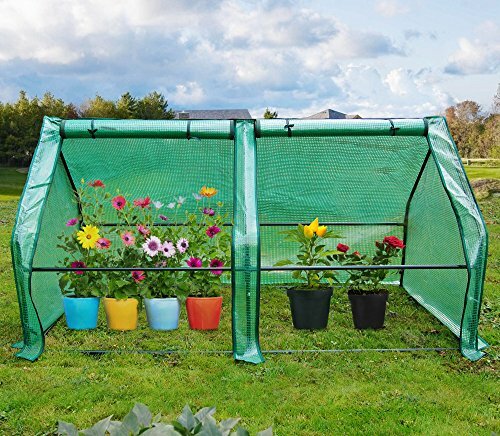 Heavy-duty powder coated steel framework + UV protected、Waterproof 、Reinforced 、Transparent PVC cover (with ropes let cover and frame combined better). 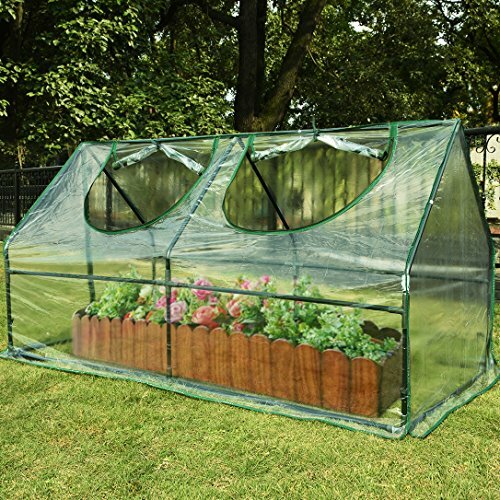 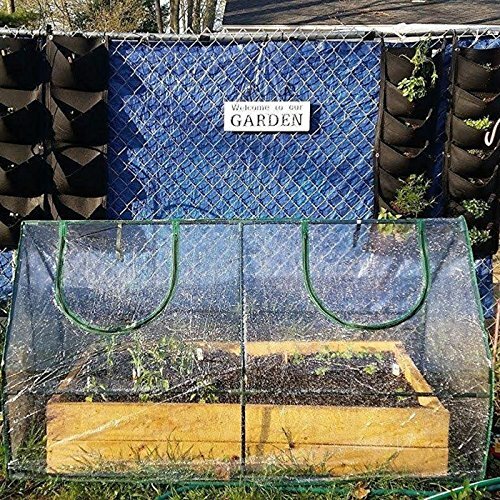 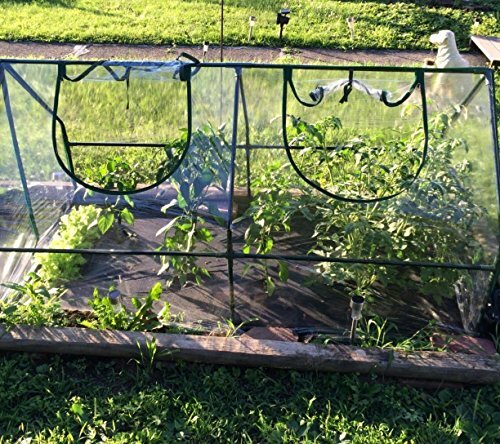 GOOD SIZED PORTABLE MINI GREENHOUSE---- 71"WX 36"D X 36"H, Big enough to work for good sized plant pot & seed bed. 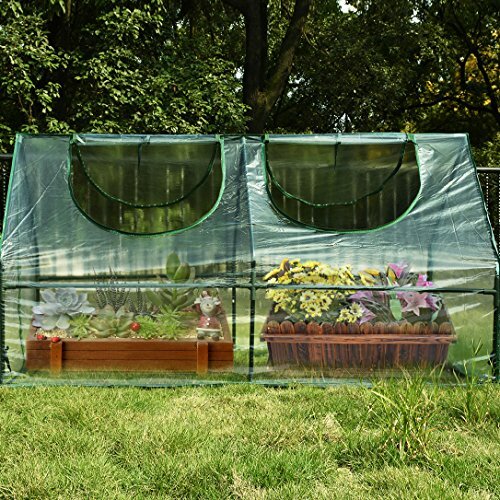 Can be used both indoors & outdoors. 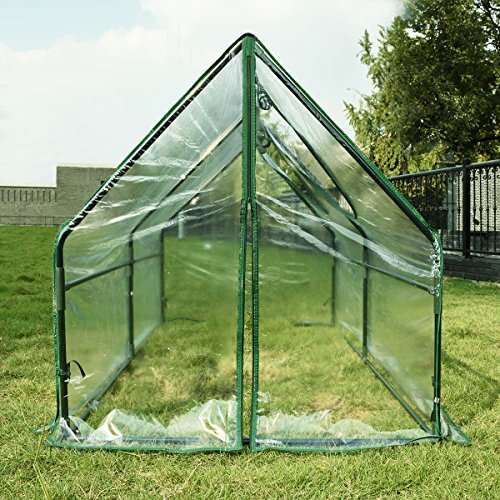 OVERLONG COVER DESIGN---- Makes greenhouse more airtighted and secure, just bury it in the soil, easy way but useful. 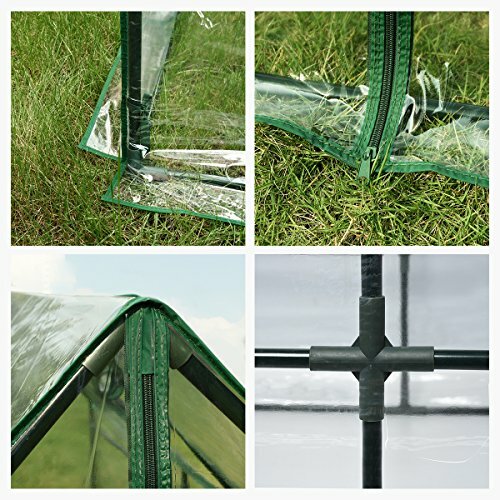 SIDE ZIPPER DOOR---- Provides easy access to your plant and allow air flowing through on hot days.